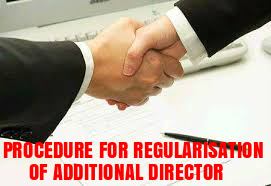 As per the provisions of Section 160(1) of the Companies Act, 2013 a person who is not a retiring director in terms of section 152 shall, subject to the provisions of this Act, be eligible for appointment to the office of a director at any general meeting, if he, or some member intending to propose him as a director, has, not less than fourteen days before the meeting, left at the registered office of the company, a notice in writing under his hand signifying his candidature as a director or, as the case may be, the intention of such member to propose him as a candidate for that office, along with the deposit of one lakh rupees. 1.A Notice of not less than 14 days must be given to the Company by the person himself or by a member of the company regarding proposal for appointment of a person as a director before the General Meeting along with a deposit of 1lakh rupees or such higher amount as may be prescribed which will be refunded in case the candidate gets elected or gets more than 25% of total valid votes cast either on show of hands or on poll on such resolution. 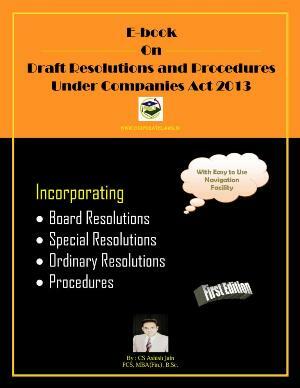 3.Pass an Ordinary resolution holding general meeting, [Section 114] if the Articles of Association of your company require passing of Special resolution for such appointment, then pass a special resolution with three-fourth majority [Section 114]. 4.File Form MGT-14 with the concerned ROC within 30 days from the date of Appointment. 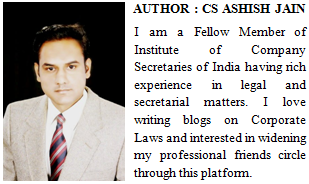 5.Fulfill the required compliances as per listing agreement,if your company is a listed company.